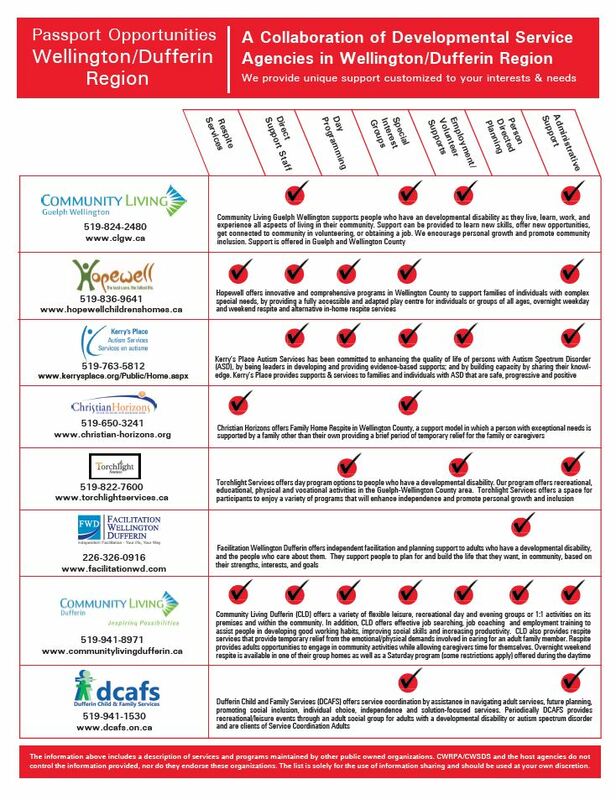 Many adults with developmental disabilities qualify for Passport Funding. Through the Ministry of Children, Community and Social Services, Passport Funding is meant to improve access to services and supports in the community. Community Living Guelph Wellington, along with a collaboration of other organizations, offer a variety of services for purchase through Passport Funding. For more information about Passport Services at Community Living Guelph Wellington, contact Karenda at kCarpenter@clgw.ca or 226-314-1126. 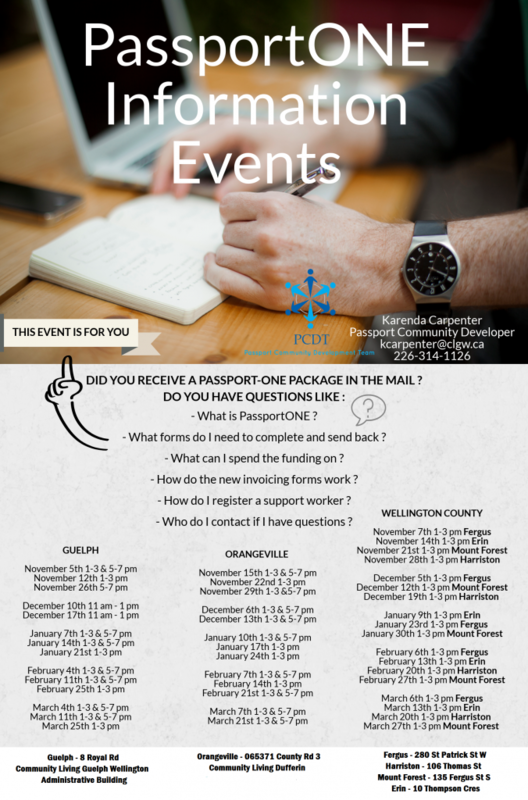 Passport Funding Information Events are held in Guelph, Fergus and Orangeville. Have your questions answered and understand what’s available to you.